The gentle giants have ended up in golf courses, forests, and backyards. On Wednesday afternoon, Hurricane Michael slammed into the western coast of Florida. It was, as my colleague Robinson Meyer described, “one of the most damaging and powerful storms ever to wallop the continental United States.” Several neighborhoods were devastated, more than a dozen people were killed, and hundreds of thousands were left without power. 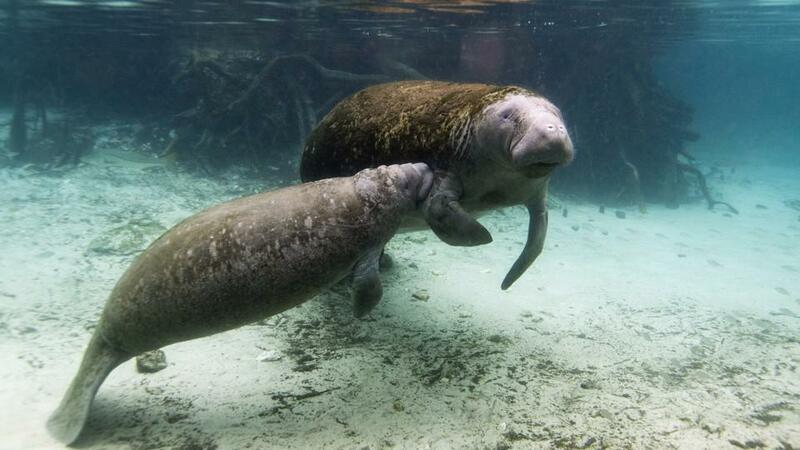 And in the midst of all the destruction, a pair of manatees living in Crystal River, a city on Florida’s northwest coast, followed the rising. The storm reached hurricane status Monday morning; it's expected to strengthen rapidly over the next 24 hours as it heads north towards the Florida Panhandle.